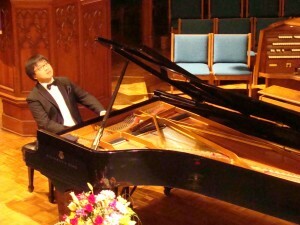 Alvin Zhu, Pianist, April 27, 2014 - Go Foxburg! Having just performed a recital at New York’s Lincoln Center, Alvin Zhu, Classical Pianist, brought his big romantic style in works by Chopin, Grieg, Beethoven and Schumann to n our own Lincoln Hall on Sunday, April 27, at 2:00 PM. This 22 year-old award-winning and world-traveled multi-talented pianist and composer, performed an eclectic recital program that has mesmerized audiences everywhere. 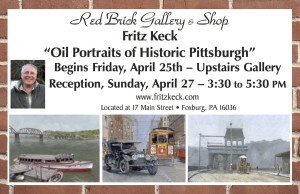 (See Event listing for his full program). Tickets for Alvin Zhu on Sunday, April 27 at 2:00 PM – Adults $25, ARCA Members $20, Students $10 To reserve tickets, call 724 659-3153. Alvin Zhu has won numerous awards and competitions, has been a featured artist on NPR and has been heard world wide in recital and as a soloist with orchestras in the United States, Canada and China. 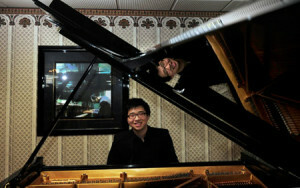 His list of teachers and mentors is a who’s who of the piano world. Watch him on youtube as he plays Rachmaninoff Sonata No. 2 Op. 36, 1st Movement. Born from a musical family, Alvin Zhu is continuing his grandfather Gongyi Zhu’s genetic Legacy as a great performing pianist. In the short time since he was inducted as the first American pianinst to the Young Steinway Artists Roster in 2009, his talent and maturity have further blossomed. He has performed internationally to consistent acclaim while he continues the 5 year Accelerated BM/MM program at the Juilliard School, which only admits the strongest students both academically and musically. Alvin has swept audiences across the world. His artistry has taken him to various halls around the world from New York’s Steinway Hall, Pittsburgh’s Heinz Hall, Australia’s Sydney Opera House, Lincoln Park’s Performing Arts Center, Pittsburgh’s Convention Center, Canada’s Montreal Palais du Congress (Convention Center), China’s Beijing Concert Hall, venues in Beijing, Shanghai, Taicang, Suzhou and cities in Europe. A current student of Dr. Yoheved Kaplinsky at the Juilliard School, Alvin is a musician and a sensitive artist. As a child, he began lessons with his mother at the age of four and studied piano with Yeeha Chiu of Pittsburgh and Marylene Dosse. Alvin has had master classes with Gary Graffman, Emanuel Ax, Lang Lang, Murray Perahia, Leon Fleisher, Malcolm Bilson, Misha Dichter, Shikun Liu, and David Allen Wehr.